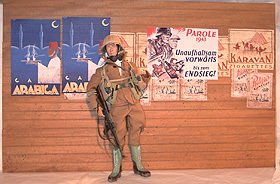 Display your 1/6-scale Afrika Korp figures in front of these 15" x 24" custom backdrops. 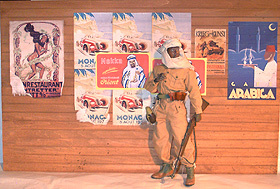 Or pose your victorious Allied troops taking their North African objective. 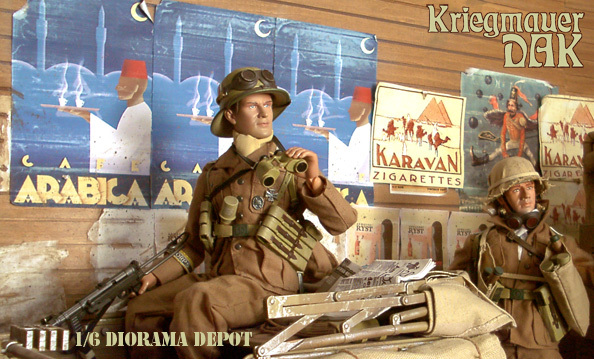 Either way, they're perfect for dioramas, photo shoots, and behind shelves. With minor effort, you can cut the wood panel down to fit any needs. Almost all of these WWII graphics have been photographed or scanned DIRECTLY FROM THE ORIGINALS! Many are unpublished, making these works even more unique. These A and B panels have been designed to work in visual tandem. Together they create a wall measuring 15" high and FOUR FEET in length! 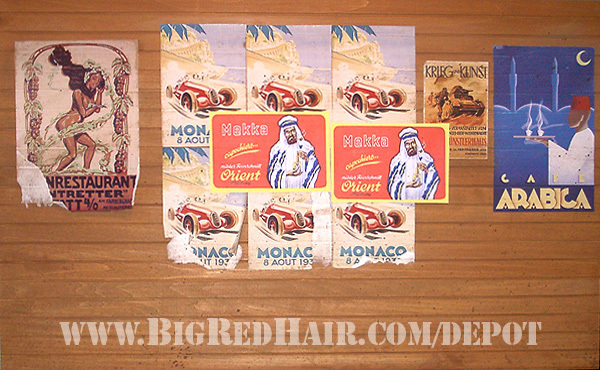 A poster for a restaurant serving German cuisine, posters for an auto race in Monaco, ad for Mekka tobacco, a museum poster for an exhibit of war-themed artwork, an ad for Arabica coffee. 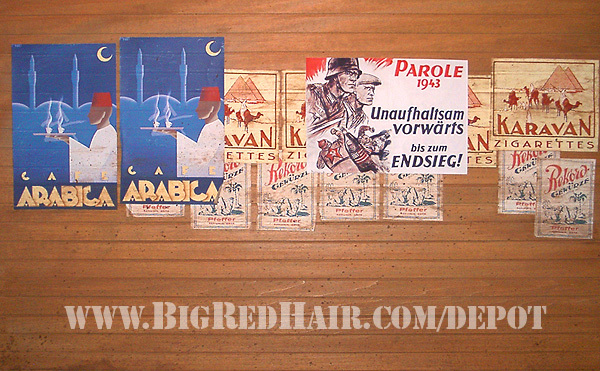 Posters for Arabica coffee, the official German national slogan ("parole") for 1943, an ad for Karavan cigarettes, ads for Rekord pepper.